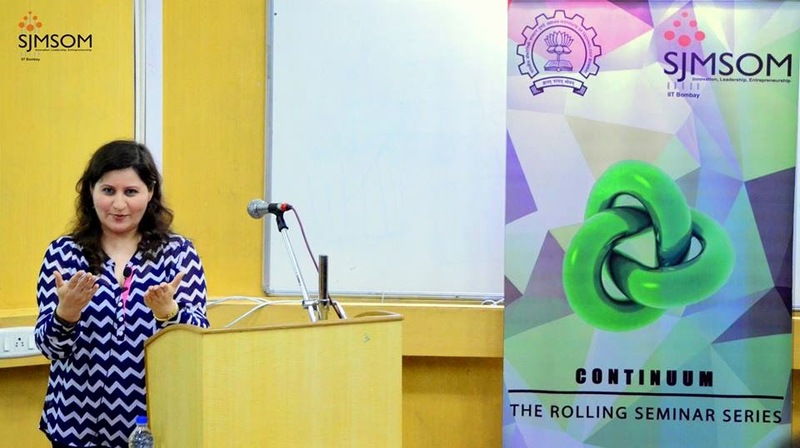 Marketing Continuum 2014 was organized on 10th August, 2014 with a theme reflecting the current trends and challenges faced by the Marketing Managers. 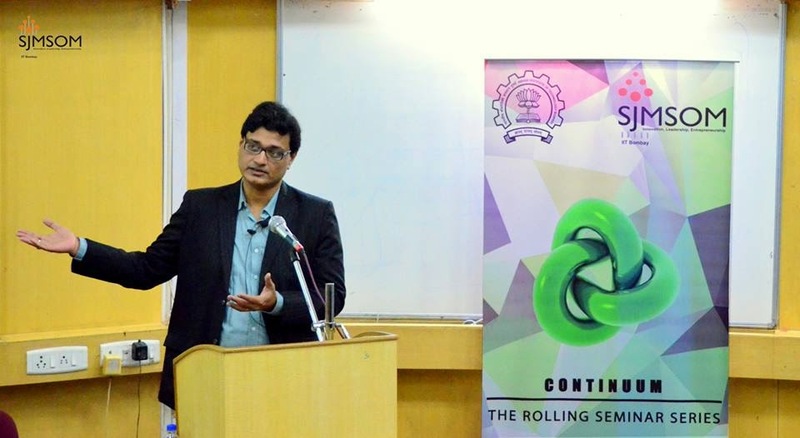 The first speaker for the day, Mr. Vikram Swaroop, Head, Marketing Communications, Skoda Auto India Ltd. spoke about the topic: ‘Managing Customer Touchpoints: Next Generation Digital Marketing’. He started the talk by giving insights on how the automobile industry is becoming commodity based rather than brand based. He mentioned the increasing online research by the consumers and also the increase in number of options available to the modern car buyer. He also mentioned that Skoda’s Facebook page has 1.2 million likes; YouTube channel has 8.6 million views and is the only car brand in India which gives the same online experience on a desktop and a mobile. He stressed on a significant point about how Skoda is not in the volume game to compromise on the safety standards. He concluded by saying how important it is in today’s business to manage increasing number of touchpoints owing to the internet usage of the prospective clients. The second speaker for the day, Mr. Amit Sharma, CVP, Marketing, Max Life Insurance Ltd. delivered a lecture on ‘Customer Relationship Management: From Differentiator to Necessity’ He started the talk by explaining the importance of Marketing in any industry. 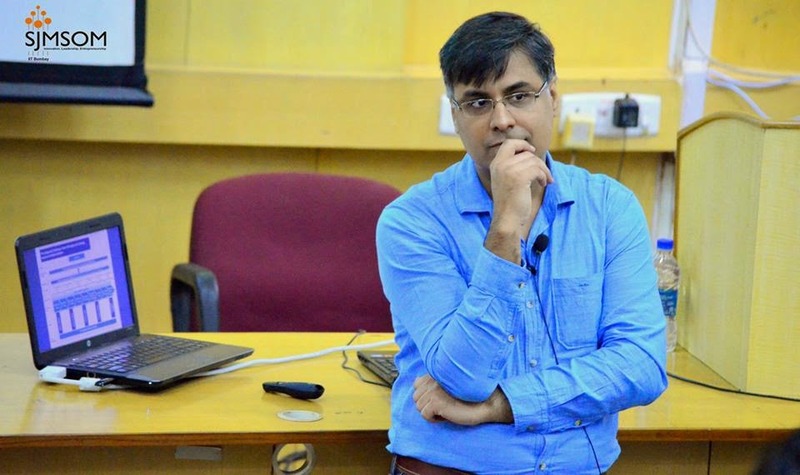 He then laid emphasis on marketers to stay relevant in the changing market scenario as over the time customers usually tend to outgrow brands. He also talked about the need of marketers to develop effective customer strategies and have atleast level three customization to cater to the ever evolving customer needs. He then explained that customer belongs to everyone and every part of business has the potential to touch the customer at some point along his buying journey. He then explained the marketing chain starting from customer acquisition, moving on to the customer’s on boarding process and then to the customer retention and expansion process. The third speaker for the day, Mr. Makarand Kulkarni, Head, Sales and Marketing, Glenmark Pharma, delivered a talk on the topic: ‘Customer Engagement in Pharma – New Medicine in Old Bottle.’ As Mr. Makarand Kulkarni described the global as well as Indian pharma scenario, he pointed out the same. He also came up with staggering numbers such as the current value of the global pharma industry, USD 858 bn. (INR 53000 bn). The top five players in the world – USA, Japan, China, Germany, France; of which USA and Japan account for about 50% of the global share. Pharma is not only about bitter medicines but also about Brands. There are 2 types of marketing models in India. First one is RX model wherein a medical Representative pitches about his product to a doctor who in turn prescribes it to the patient. The other model is OTX Model where in a medical representative directly sells his product to a consumer. To conclude, he emphasized once again on the robustness of Indian pharma. He said that Indian Pharma Market is doubling every year and there is still a wide scope of improvement and to capitalize on this chance, it is necessary to pick the right opportunities that come its way. The forth speaker for the day, Ms. Namrita Sehgal, Director of Internet Marketing, Taj Hotels Resorts & Palaces, delivered a talk on ‘Managing Customer Touch Points – A Road to Engagement’. She started the talk by highlighting that the customer journey, starting from planning a trip to booking a hotel, has become more complicated than ever. She said the customer journey can be divided into two sections; The Pre-Stay Journey and the Post-Stay Journey. The Pre-Stay journey involves the following steps: Dream, Explore, Engage, Shortlist, Commit, Pre-Arrival. After describing about the Pre-Stay journey, Ms. Sehgal then explained about the Post-Stay journey which included the following stages: Just Landed, During Stay, Post-Stay & Loyalty. Ms. Sehgal then concluded by stating that the future use of wearable technology, augmented reality and experience zones will completely change the dynamics of managing customer touch points. The fifth speaker for the day, Mr. Ashish Nanavati, Head, Digital Marketing, Shaadi.com. Mr. Nanavati started with a small introduction on touchpoints and their complexities and highlighted on the role of digital marketers in reducing these complexities. He then went on to explain the concept of bucketing. He spoke about different forms of media including paid, owned, earned and converged media and how each of them plays its part in developing customer relationships. He then highlighted the importance of Data Management Platforms (DMP) in capturing the touchpoints. He explained the importance of DMP in normalizing, analyzing data and tracking it to attract the target users. 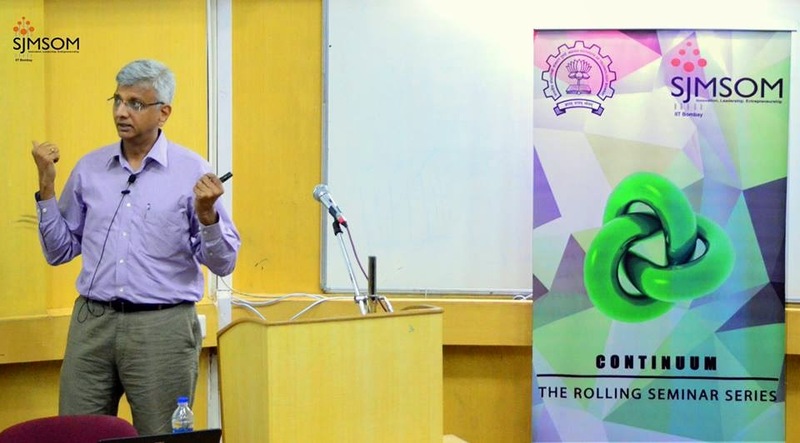 He then moved on to explain about the condition of E-commerce industry in India and its hidden potential. E-commerce industry is expected to grow by almost 4 times between 2011 and 2015. 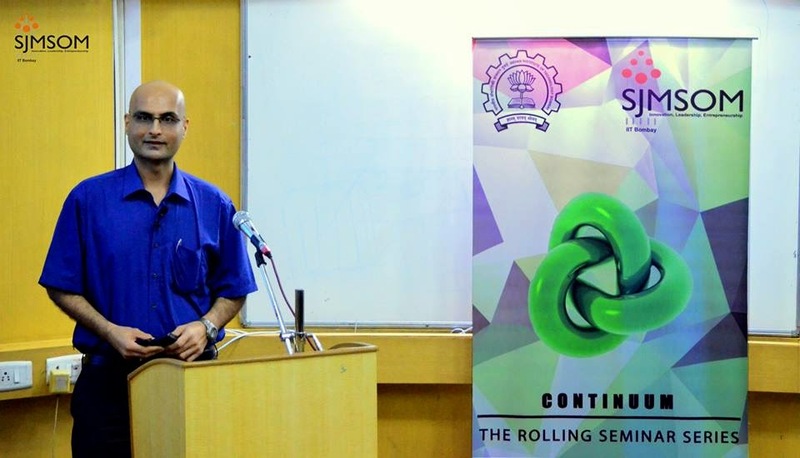 Mr. Nanavati concluded by saying that already twice as many things are connected through internet than people and in near future almost everything will be connected to internet. The sixth speaker or the day, Mr. Ambi Parameswaran, Advisor, FCB Ulka Advertising discussed three case studies of Bausch & Lomb, Oreo and Nerolac. The talk started with a brief insight into the changing new generation consumer. The first case study was about Bausch & Lomb - Creating relevance for Bausch & Lomb with youth. He then moved on to discuss about OREO’s ad campaign in US. Most famous ad of 2013 was OREO’s ‘Dunk them in the dark’ which was done during a black out in the Super-bowl. The third case study discussed was about Nerolac Paints Ad campaign. Nerolac was initially perceived as a mass brand. Lastly he discussed about the AutoExpo in New Delhi in 2014. Technology was leveraged to generate interest in the customers for Jaguar. An app with IPad integration helped them in generating 611 enquiries in a short span of time. Lastly, he spoke about various books authored by him and recommended books for the students to read in order to understand branding and campaign management. The final speaker for the day, Ms. Rupa Roy, Director Marketing, McAfee, India and SAARC, deivered a talk on: ‘Challenges in the Traditional Marketing and the present era of Emotional Marketing.’ She started the talk by explaining about the different forms of advertising and based on a survey insisted that the advertising done using “ word of mouth” is the most effective of them all. 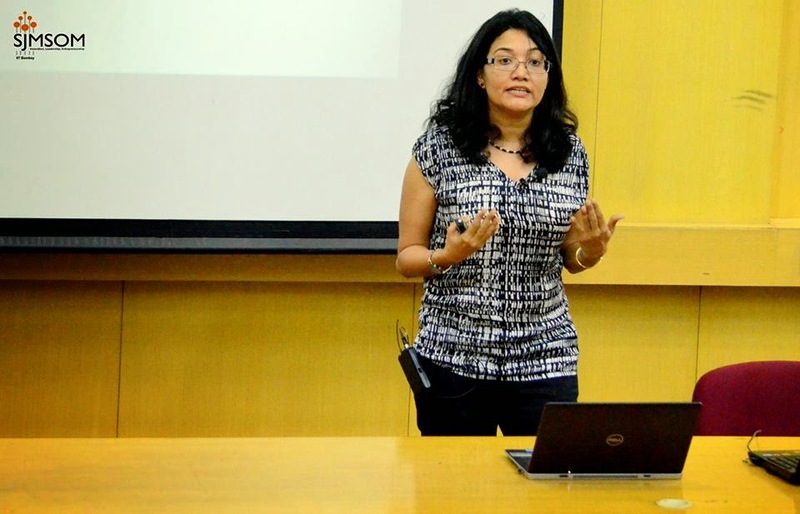 She mentioned about the “converged marketing” in which a mix of paid, earned and owned categories of marketing campaigns had to be done simultaneously. Next, she spoke about the constantly evolving dynamics of marketing. She insisted on the importance of innovation and creativity in marketing and also mentioned that without these qualities one cannot survive in today’s world. She concluded her presentation, by urging the gathering to constantly challenge status-quo, innovate and approach problems with a creative bent of mind. The continuum ended with a vote of thanks by the student co-ordinator for the Marketing club. 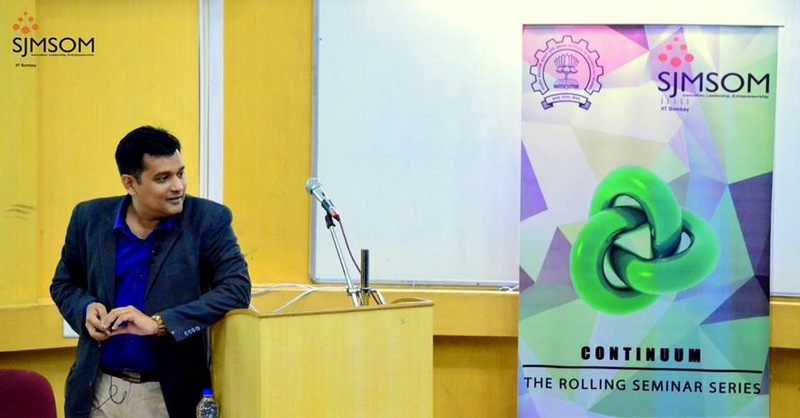 Marketing continuum 2014, which saw a perfect blend of stalwarts from industry and academia, was a great learning experience for all the students of Shailesh J. Mehta School of Management, IIT Bombay. 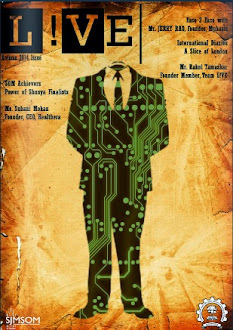 Nice article and thanks for the information on the new age marketing. Very nice piece of information, Digital marketing is the now a days a very important aspect of a marketing plan for a marketing manager so neglecting digital marketing can be a very big mistake which can drive away the business to the competitor. Digital marketing training in chennai. Thanks for sharing this with us it is a worth read. xcellent post!!! Digital marketing training provides students with meaning skills to promote a business in digital age. This training covers search engine optimization, SEM, social media marketing, online reputation management, etc. Can you please share some more information. This disentangles their recognizable proof, encourages the foundation of a smoother relationship, and makes a more characteristic fit for your message. These types of marketing seminars are very important to aware the people. Great post, this is going to help a lot.to buy pets online visit us on only4pets. Thank you. Magnificent Post, I respect your enthusiasm going to post web journals. It will help a considerable lot of them to refresh their abilities in computerized promoting. Awesome post!! This can be one specific of the most helpful web journals We've ever land crosswise over regarding this matter. It is very effective report to more digital marketing. Internet Marketing plays an important role in digital marketing. generic-sovaldi.com requires either the User or Customer or the Caregiver to confirm he/she is completely aware of the indications, side effects, drug interactions, effects of missed dose or overdose of the medicines he/she orders from us. It is imperative to seek professional advice from your physician before purchasing or consuming any medicine from generic-sovaldi.com. Financial planning for building a home please visit us." Interesting substance which encourages me to get the in-depth information about the innovation. To know more details about the course visit this site. An online business directory is a website submission service that allows your small business's website to be added to a specific dig this where it can be searched for by interested visitors. These searchable online directories allow their visitors to search for websites and businesses that they find interesting or that they want to learn more about. Listing your small business on an online directory increases your website's visibility on the web and helps to create inbound links to your business' website. Online directories make it easy for people to find what they are looking for. All they have to do is jump online, which means that people could find your business' website from their home, office or even while traveling.